All paddlers, officials and management associated with dragon boat racing in Queensland. 1. Dragon Boat Queensland (‘DBQ’) is committed to fairness, equity and good sportsmanship in dragon boat racing. DBQ aims to provide the best possible environment in which its participants can excel and its officials and administrators can discharge their responsibilities to ensure the participants are able to be and perform at their best. 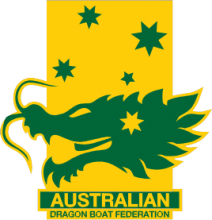 The Code of Conduct is designed to ensure that appropriate forms of behaviour are adopted and be and remain the norm for all persons associated with dragon boat racing in Australia. 2. This document shall be known as the Dragon Boat Queensland Code of Conduct (The Code). 3. The Code governs the conduct of all persons associated with DBQ dragon boat racing events and those who may from time to time be a member of DBQ representative teams. 4. The Code governs the conduct of all those who are committee or ordinary members of DBQ member clubs. 5. The Code shall govern the conduct of all those who are competing in DBQ sanctioned events including national championships in Australia and shall be read down and applied accordingly. (f) a person who is a member of a dragon boat racing team or dragon boat club as a committee member, athlete, captain, coach, head coach, equipment manager, manager, assistant manager, doctor, assistant doctor, physiotherapist, sports scientist, masseur, media representative, sports psychologist or any other persons who is appointed to a team position or who is a member of a DBQ club. (v) To preclude people not associated with the team from fraternising with the team members during competitions without the authority of the manager. 17. Be honest and ensure that qualifications are not misrepresented. (c) Brought DBQ or Dragon Boating into disrepute.